Recent months have been difficult for those of us hoping for rapid political progress toward a healthier society and planet. We're realizing that the political road ahead is long and filled with struggles. But, Home Green Home was founded on the belief that the thin political atmosphere is a reflection of the deeper underlying culture, and that culture is continually shaped by millions of individual actions. Volunteering at a soup kitchen, walking or riding a bike to work, buying local and organic, breaking bread with friends & neighbors, signing up for renewable electricity (and yes, political actions too) - it is millions of these small actions that slowly shape a more beautiful world for our descendants and for all species. Home Green Home exists to collaborate with the local community in order to make some of these small actions a bit easier for the people of central NY. We're so grateful to all of you for your support - you give us much needed courage! Winter Sale This Weekend (January 26 to 29)! Take 20% off all flannel sheets, and browse deals on select S'Well and Lifefactory bottles, graphic tees, and assorted items from all of our departments. Many stores on the Commons will be participating. Get 'em while they're hot! 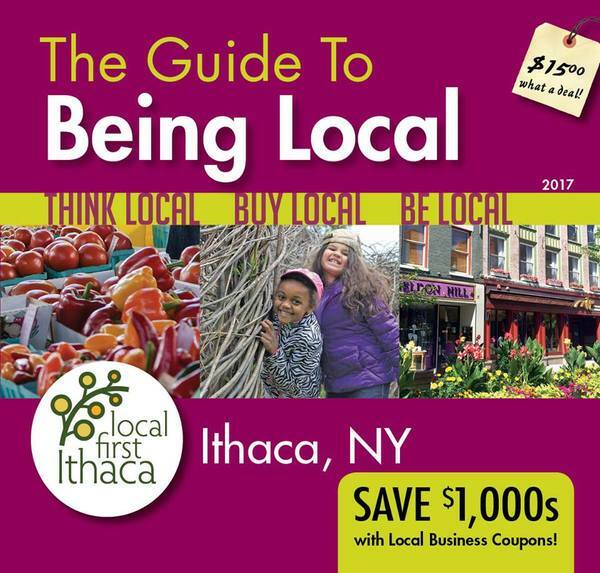 A bargain at $15, the 2017 Guide is packed with fantastic local deals all over town, including Greenstar, Agava, Wide Awake Bakery, Purity Ice Cream, Gimme! Coffee, CTB, The Watershed, Sunny Days, Green St Pharmacy, Ithacamade, Rasa Spa, and many more! We've been selling Coyuchi organic cotton products for over 10 years. Coyuchi's Air Weight Organic Cotton Towels are fair-trade certified by Fair Trade USA, and Coyuchi is working on expanding that to their other products. All of our personal care products are now palm-oil-free. Palm oil production contributes to rain forest destruction and climate change, and there are better substitutes available. Our most popular sleeping pillows are the ones filled with kapok fiber, a fluffy cotton-like material harvested from the seed pods of the tropical Kapok tree (Ceiba Pendandra). The feel is similar to down. In 2016, Home Green Home and Finger Lakes Running Company completed a changeover in our lighting system, eliminating the last halogen bulbs. We are now efficiently lit by approx. 75% LED and 25% fluorescent lighting. 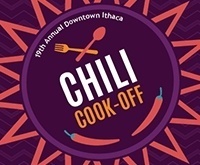 There are a couple of options for making parking in downtown Ithaca easier and faster. One is the ParkMobile smartphone app, which lets you pay (and renew) as quick as a click. For those who prefer lower-tech, there are prepaid scratch-off cards available at City Hall and most locations that sell trash tags. Great seasonal clearance deals at Home Green Home and throughout downtown! Get informed & get involved!